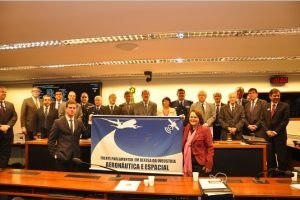 The CEO of NOVAER, Graciliano Campos, and the Chairman of the Board, Paulo Junqueira, went to Brasilia on Wednesday (24/06) to participate and support the launch of theParliamentary Front for Aeronautics and Space Industry, with the objective of defending the interests of this sector’s companies based in Brazil. Composed of 252 deputies, the front will have as president, in this legislature, Congressman Jose Stedile, from the Rio Grande do Sul PSB, and will discuss issues such as technology and investments in the sector. 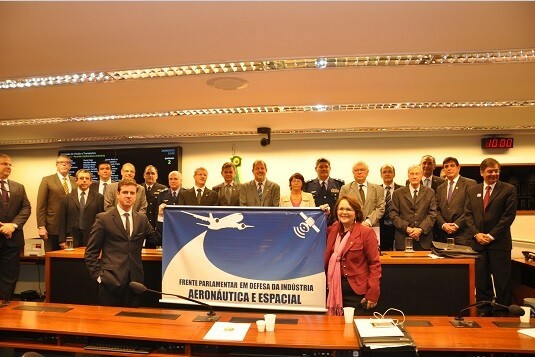 Vice Presidents of the Front, the deputies Eduardo Cury (PSDB-SP) and Flavinho (PSB-SP) are of Sao Jose dos Campos region, the largest center of the aerospace industry in the country (the state of São Paulo has 99 of the 136 companies in its territory). 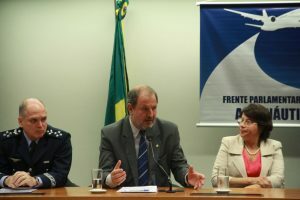 Flavinho said he was honored to be able to defend not just a matter of companies working to leverage new technology, but also leveraging the armed forces, in the development of technologies. “The armed forces further develop these technologies in the defense of our country and then they are also turned into products that affect the population in a very positive way,” he said.